With rising incidents of crime, there is at least some comforting news in Tucson. 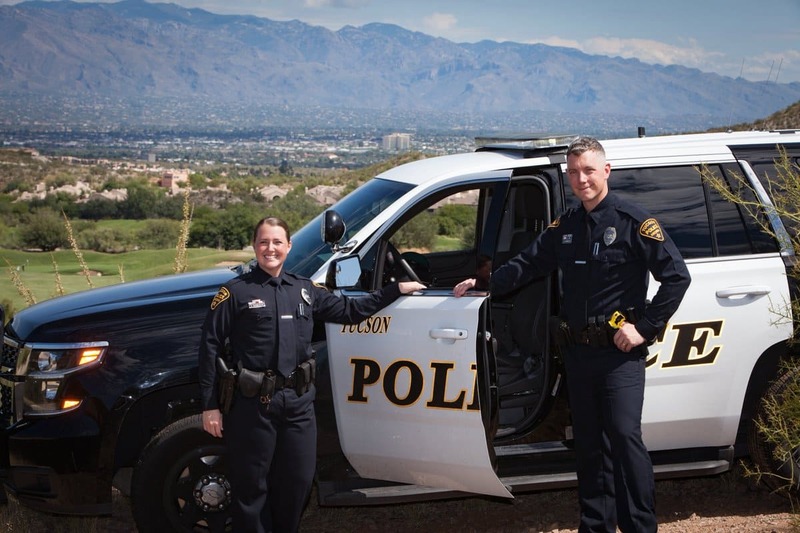 The Crime Solve rate of the Tucson Police Department has now surpassed the national average of the whole United States. Especially murder cases have on the spotlight. Murder cases in 2018 rose by 13 percent from 2017. But, the Tucson Police have been successful in solving most of the cases. TPD investigated 53 cases in 2018, whereas the number was 47 in 2017. It should be reported here that the last three days of 2018 has experienced three murder cases in Tucson. The national average of the homicide clearance is 61.6 percent, and Tucson’s clearance rate is way above the average at 76 percent. Tucson Police Chief Chris Magnus has credited this success to the community. He said that without the help of the community this would not have been possible. He also praised efficient work done by the detectives and few analysts. But, he hoped the rate to be higher and said that some other cases were being investigated and would be completed soon. The Police chief said that he had no answer to the reason of rising crimes in the City. But, he cleared that very few cases involved a random act between a victim and a stranger. Almost all the cases involved a pre-existing or purposeful relationship. The TPD said that the department had investigated a total of 60 homicide cases, out of which seven have been declared an act of self-defense by the Pima County’s office. All homicide cases were reported to FBI and in Tucson there six officer-involved shooting cases. The murders investigated by the TPD involved guns in most of the cases, but it also had cutting instruments, and strangulation involved. According to the TPD data, though the numbers have increased as far as homicide is concerned the cases of violent crimes have dropped by 3 percent. Violent crimes include murders and nonnegligent manslaughters, rapes, robberies, and aggravated assaults. Throughout the nation, the crime rate has not been very stable. Some cities like Baltimore and San Francisco have reported a significant decline in homicide cases. As per the Police Chief, gang activity is not the significant factor here in Tucson’s number. There is no crime Hotspot here in Tucson. There is no similarity among the homicide suspects. So, as per the TPD, stating one reason as the cause would not be possible. As per TPD, four of all homicide cases were child abuse related. And eleven cases were related to domestic violence. Nine of the cases were related to petty fights which could have aggravated due to alcohol and guns. The department also is engaging itself with many constructive strategies to prevent these cases. There have been awareness campaigns for the drug addicts to prevent them from doing any wrong or being a victim of any crime. Recently, the department had created a Crime Analysis Unit, to analyze the cases in a better way and hired a highly credentialed analyst with a Ph.D. who may work as a game changer in the coming times. TPD will also be engaging with several non-profit organizations to implement new crime-reduction initiatives. Analysis, as the chief believes, will help in prioritizing things. A lot of patrol officers could be freed up to be engaged in any constructive work. The officers are also getting trained handling cases involving substance abuse, homelessness, and mental health. The TPD’s chief said that it was not just a coincidence that there is a dip in the homicides and solving rates have been increased, but the whole department and Mental Health Support Team had been able to connect the whole community which had helped them crack the cases efficiently.